U.S. Army veteran Marty Armstrong was living in Tennessee when he first heard about Veterans Manor Apartments in Milwaukee’s Concordia neighborhood. Despite the distance, he applied to live in one of the 52 single-unit apartments available. For 50 years, the corner of 35th Street and West Wisconsin Avenue sat vacant and littered with garbage. It now hosts a four-story, supportive living facility that is home to veterans, both men and women, from various backgrounds and locales. “Veterans Manor is the only building of its kind,” said Tonya Jones, the facility’s property manager, who herself is in the Army Reserves. The facility, which opened on Memorial Day in 2011, cares for both the physical and mental health of the residents, Jones said. It offers residents services such as an on-site counselor, weekly Alcoholics Anonymous meetings and access to the U.S. Department of Veterans Affairs, which provides health care and federal benefits. “It brings together in a community a set of people with a common set of experiences to live together, and have on-site support right there when they hit various road bumps in life,” said Joseph Thomae, asset manger at Cardinal Capital Management, a company that develops affordable housing. The building has a huge lobby, a community room, indoor parking, laundry rooms on every floor and many other amenities. Each floor is painted a different color so residents with memory problems have an easier time finding their way around the building. Living in a community that focuses on their needs and offers services has proven beneficial to those who call Veterans Manor home. Jonathan Rhodes, another Army veteran, agreed. His daughter lived with him in his Veterans Manor apartment for a week when she moved from Texas to Milwaukee. He was happy to be able to share his new home. Veterans Manor came about as a partnership between Cardinal Capital and the Center for Veterans Issues, a nonprofit that works to provide services for those who have been in the armed forces. Erich Schwenker, president of Cardinal Capital, said it was a “tax-credit” project, which means that getting the funds to build was a complex process. 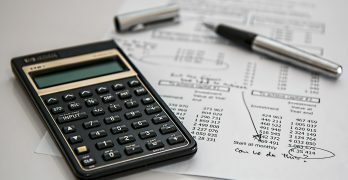 Schwenker said that applying for a tax credit requires six levels of financing, and developers must come up with anywhere from $100,000 to $600,000. 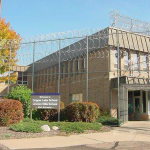 In addition to receiving funding through tax credits, Veterans Manor received help from Marquette University High School, the Potawatomi Nation and Harley Davidson, Thomae and Schwenker said. “Lots of people have stepped up to make sure this building works,” Schwenker said. In return, Veterans Manor is reaching out to the community by building a public eatery, Troop Café, at the back of the building. The food will be prepared in the commercial kitchen in Veterans Manor and the café will be staffed by individuals from the Milwaukee Center for Independence, which helps provide jobs for people with special needs, Jones said. “Troop Café will bring to the neighborhood a first-rate source of affordable, nutritious meals that maybe didn’t exist in the neighborhood,” Schwenker said. The partnership between Cardinal Capital and the Center for Veterans Issues does not stop at Veterans Manor, Schwenker said. They plan to collaborate in the near future on a second apartment building for veterans. “Hopefully, this building takes off the way we want it to and we can go global,” said Jones. 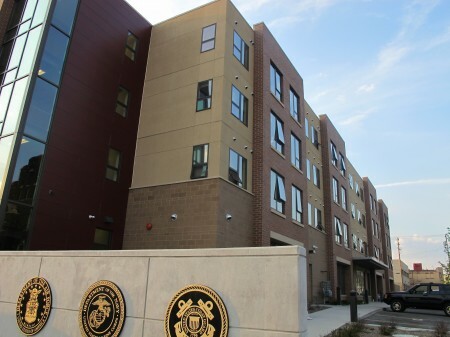 Nice profile of the new veteran housing facility. I work with with the veteran’s initiative program at the Repairers of the Breach, Milwaukee’s only daytime homeless shelter, and have met dozens of homeless veterans in my volunteer role helping to direct them to federal programs targeting getting vets into existing programs to get them into housing. There is a lot of hope that comes with the development of housing like that of Veterans Manor. With the number of war time vets coming back there is likely a reality of more guys in need of supportive housing. I’m thinking about one guy – big, intelligent vet of Afghanistan deployment who after his discharge in March 2011 has struggled mightily, but still fights on for employment and housing. Lot of men and women coming home in the next years…. Thanks for the reporting job done here. army personnel and the elderly are always hardest hit.